From the perspective of architectural art and aesthetics, the staircase is the visual focus, but also highlight one of the highlights of the owner's personality. The stairs is to successfully on two space channels. It must design structure reasonable, conform to the safety standards of various countries. Interior decoration designers on the size of the stairs to have thorough understanding and grasp, in order to make the staircase design walking convenience, and least occupied space. Simple and tough ladders: the most simple straight straight down the attic stairs design, is also the most common, quite the taste that act wilfully, simple geometric lines gives tinggua and "hard" feel. The staircases occupy more space, small room apartment used less. Save space of L type stairs: if very small openings in the attic, suggested the use of compact L-type attic stairs design. Its pedal length is only 60 cm, unique pedal design need feet alternatively travel. However, attention should be paid to each pedal only unilateral stress problems, the proposed selection of strong and relatively strong plate. Small apartment room chooses more or corner of the L-shaped ladder. Don't underestimate this little detail, save a lot of space. 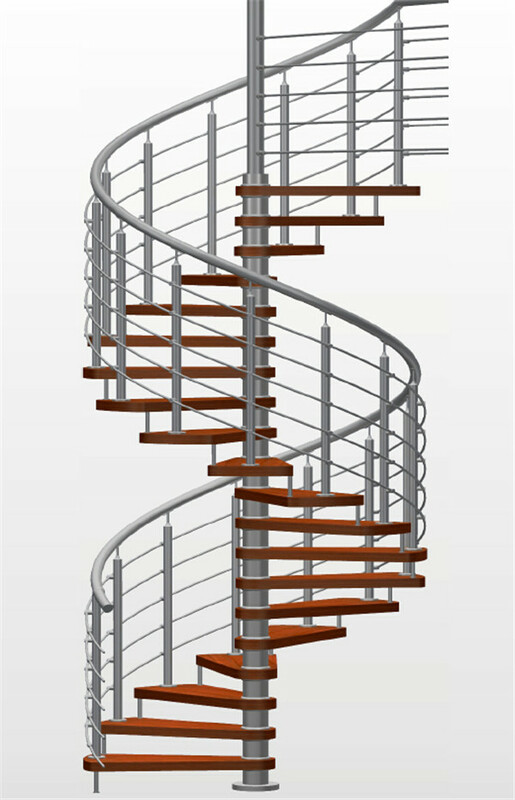 Generous beautiful arc ladder: arc stair design, go downstairs to a complete curve to achieve the connection, beautiful appearance. And do very wide, not straight ladder corner that blunt the feeling, is walking up the most comfortable one; its shape is not like straight ladder so dull, more exaggerated. Color can be unified with the indoor color, select the tonal contrast caused by strong contrast, can achieve satisfactory effect of, beautiful. 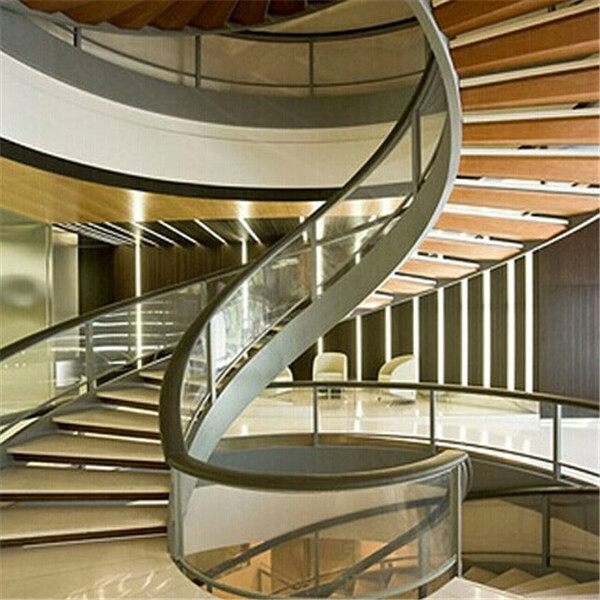 Common glass glass stairs stairs with transparent fashion, avant-garde groups are more welcome. 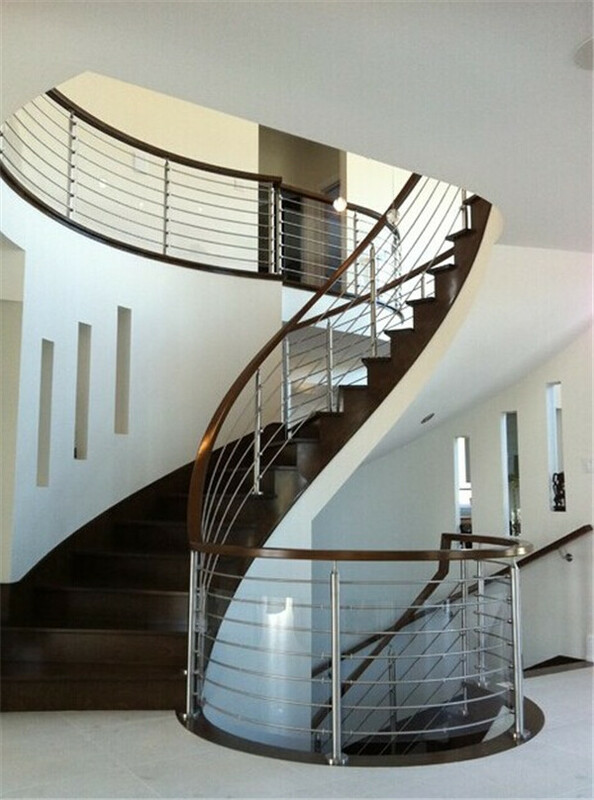 Advantages of stainless steel glass staircase is light, crisp lines sensibility, solid and durable, without special maintenance. The disadvantage is that the will give a cold feeling. Wooden staircase is vigorous and solid, classical flavor, but small space especially hot tropical regions is aware of repression. Recommended a "mix and match" use, such as steel and wood composite, stainless steel and glass combination, than a single pure materials, many kinds of elements can be added to neutralize some mishap, add more fun. Blind location: from the beginning and end of time 250mm~300mm. Distance between the railings: the center distance of the two railings do not greater than 125mm, or the child's head easy to reach out. Reasonable height of stair handrail: waist position in 80-110 cm. The height and depth of the stairs: the stairs should be 21 - 15 cm high, the order of depth of 27 - 21 cm, which is up and down the stairs when the most relaxed and comfortable. Public buildings of indoor and outdoor staircase: step width of not less than 300mm, the footfall height should not be greater than 150mm and should not be less than 100mm. Stair ceiling height (the front end of the floor to the ceiling): generally should be 2 meters or so is appropriate, the minimum can not be less than 1.8 meters, or will have a sense of oppression. Domestic stair head, at the end of the step tread height difference best according to the family members of average height and overall opinion to determine specific slope; degree. 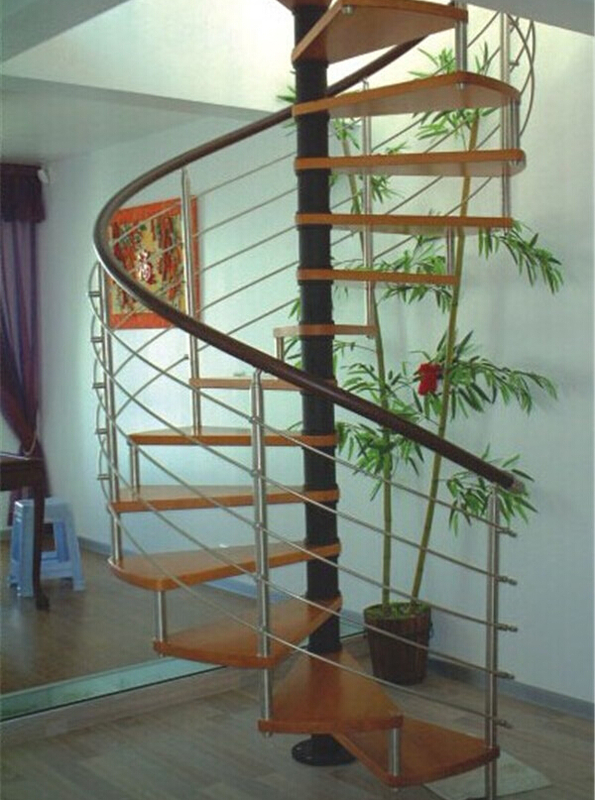 If made of metal stairs, pay attention to the handrail of cold and warm temperature. Cold weather regions, metal surface in the winter of cold feeling, let a person particularly uncomfortable. Suggest using warm wood material. Stair treads steps need to adjust and change, to be controlled in a reasonable range. Generally within 4 cm, usually 2cm to 3cm, at the end of the step change range to control in this one. 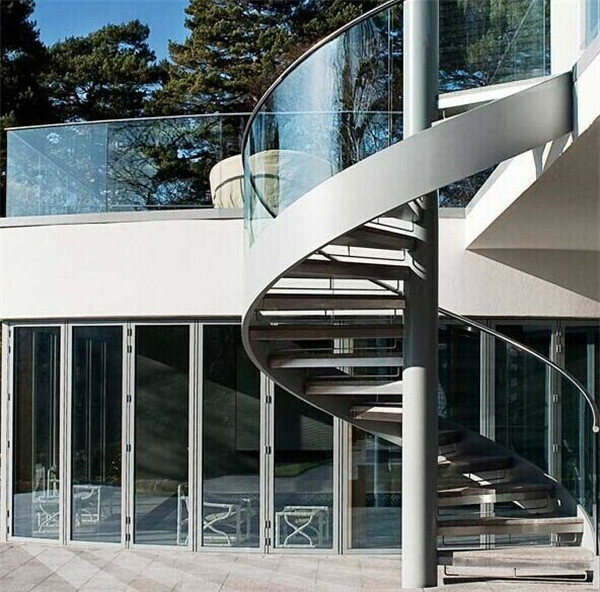 For stair guardrail and stepping glass is glass, still recommended: 3 layers of laminated glass 30-45mm best.